Since 1998, the Brazos Valley has come to depend on one electrical contractor for start-to-finish electrical work: BCA Electric LLC. 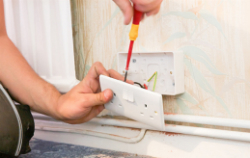 With years of experience and a team of highly-skilled contractors, we have what it takes to make your electrical problems a thing of the past. Whether you need a contractor to help you sort out the wiring for your hot tub or you’re renovating your industrial facility, we can help. We have a bucket truck for some of the toughest outdoor electrical work, and our contractors make a point of doing quality work for a reasonable price. 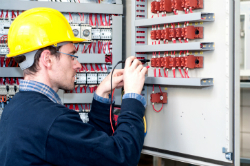 Our electrical contractors are fully licensed, and we are BBB accredited. We can complete residential, commercial, and industrial jobs. The next time you need electrical work done, don’t hesitate. Choose BCA Electric LLC: the only electrical contractor you’ll ever need. When it comes to the electricity in your home, it pays to only trust an expert. 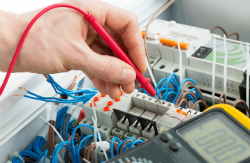 At BCA Electric LLC, we have the skills and experience to handle a wide range of home electrical issues. If you’re building a new home from the ground up, we can handle all of the wiring and connections. Renovating? Give us a call; we’ll make sure everything is safe and ready to go. We can even handle specialty work like pool wiring and hot tub wiring. Commercial and industrial facilities are large and specialized. Not every contractor can take on these jobs, but BCA Electric LLC can. From circuit breaker repairs to pole lighting installation, we do it all. We can handle remodels for everything from industrial factories to commercial offices, even shopping centers and restaurants. Let us know what you need done, and we’ll take it from there. Customer satisfaction and safety are our highest priorities here at BCA Electric LLC. Put simply, we aren’t satisfied until you are completely satisfied. The next time you need electrical work, trust the Brazos Valley’s homegrown experts. Call today to learn more about what we can do for you and get started.